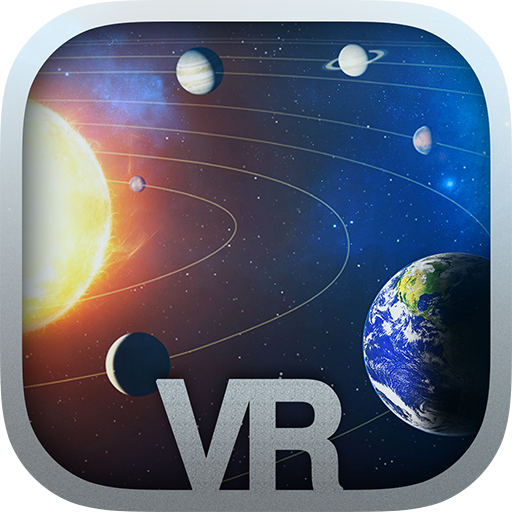 Solar Voyager VR: Travel between all the planets of our Solar System in a realistic Virtual Reality environment designed for virtual reality devices like Google Cardboard. Jump from one planet to the next one by selecting buttons with your eyes: look some seconds to a button to click on it. The planets have realistic textures and effects, and there are the main moons orbiting each planet. Bodies, distances and speeds are scaled to have a more visual representation in the simulation. The starts background correspond to the real starts you would see in space, and the relative position and velocity between the planets is also realistic. This simulation is powered by Orekit: a low-level space dynamics library developed and maintained by CS Systèmes d’Information. Enjoy your trip and don’t forget to say Hi when you pass by the Earth!